Download 'Everything you wanted to know about soil classification and disposal options but were too afraid to ask' now! Classifying waste soils for disposal without any prior knowledge can be difficult and uncomfortable at times, especially when it can be very costly if you incorrectly classify the material. 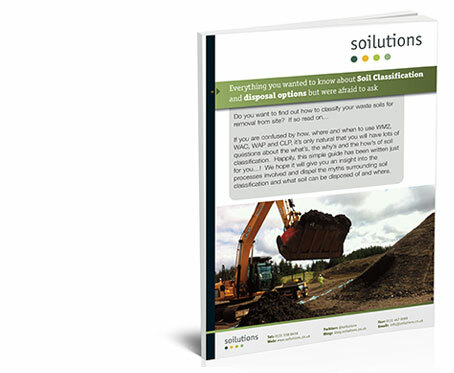 This free guide will help you understand the whats, the whys and the hows of waste soil classification in the simplest terms. Download it now for free! It’ll also give you valuable knowledge to allow you to understand the complexities of classifying waste material so that you can impress your clients and equally your boss.